Health-care utilization data are traditionally presented in discrete, itemized formats that offer a fragmented view of the total picture of services delivered to treat an individual patient’s health condition. In response, health services researchers have struggled for 150 years to define more meaningful units of analysis from the outputs of health-care services that are suitable for investigation. Beginning with Florence Nightingale in 1863, the basis for and application of an alternate conceptual approach – the episode of care construct – for organizing health-care events into a clinically meaningful unit of analysis has evolved. In recent decades this approach has been operationalized to support a variety of health services research and policy applications. To construct an episode, researchers must define three key elements including the index event, the scope of services included, and the endpoint. How these elements are defined is dependent on the objective of the episode construction and the data that are available. Here, the history of the episode of care concept, the core elements of an episode, and the researcher’s key considerations and decision points in determining appropriate parameters for these elements are described. Episode-based case mix classification systems, risk adjustment, and attribution rules are also examined. Lastly, two examples of episode of care construction and policy applications are discussed. Canadian Institute for Health Information. Canadian Institute for Health Information. 2015. www.cihi.ca. Accessed 27 Oct 2015. Centers for Medicare and Medicaid Services. Supplemental QRURs and episode-based payment measurement. 2015a. https://www.cms.gov/Medicare/Medicare-Fee-for-Service-Payment/PhysicianFeedbackProgram/Episode-Costs-and-Medicare-Episode-Grouper.html. Accessed 28 Oct 2015. Centers for Medicare and Medicaid Services. Bundled payments for care improvement (BPCI) initiative fact sheet. 2015b. https://www.cms.gov/Newsroom/MediaReleaseDatabase/Fact-sheets/2015-Fact-sheets-items/2015-08-13-2.html. Accessed 28 Oct 2015. High Value Health Care Project. 2011. http://www.rwjf.org/content/dam/farm/reports/program_results_reports/2011/rwjf71110. Accessed 27 Oct 2016. Medicare Payment Advisory Committee. Report to the congress: reforming the delivery system; 2008. http://www.medpac.gov/documents/reports/Jun08_EntireReport.pdf. Accessed 28 Oct 2015. Optum. Symmetry Episode Treatment Groups. 2015. https://www.optum.com/providers/analytics/health-plan-analytics/symmetry/symmetry-episode-treatment-groups.html. Accessed 27 Oct 2015. Struijs JN, De Jong-Van Til JT, Lemmens LC, Drewes HW, De Bruin SR, Baan CA. Three years of bundled payment for diabetes care in the Netherlands. Impact on health care delivery process and the quality of care. RIVM Report. 2012a;260013001. https://www.researchgate.net/profile/Jeroen_Struijs/publication/233407675_Three_years_of_bundled_payment_for_diabetes_care_in_the_Netherlands._Effect_on_health_care_delivery_process_and_the_quality_of_care/links/09e4150a50b96ad6cb000000.pdf. Accessed 27 Oct 2016. Struijs JN, Mohnen SM, Molema CC, De Jong-van Til JT, Baan CA. 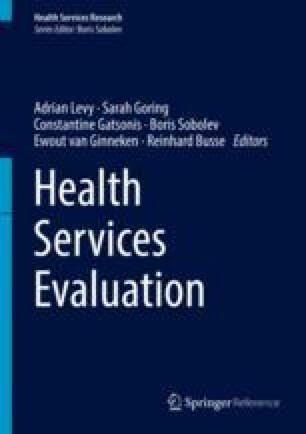 Effects of bundled payment on curative health care costs in the Netherlands: an analysis for diabetes care and vascular risk management based on nationwide claim data, 2007-2010. RIVM Report. 2012b;260013001. http://rivm.openrepository.com/rivm/handle/10029/257206. Accessed 27 Oct 2016.